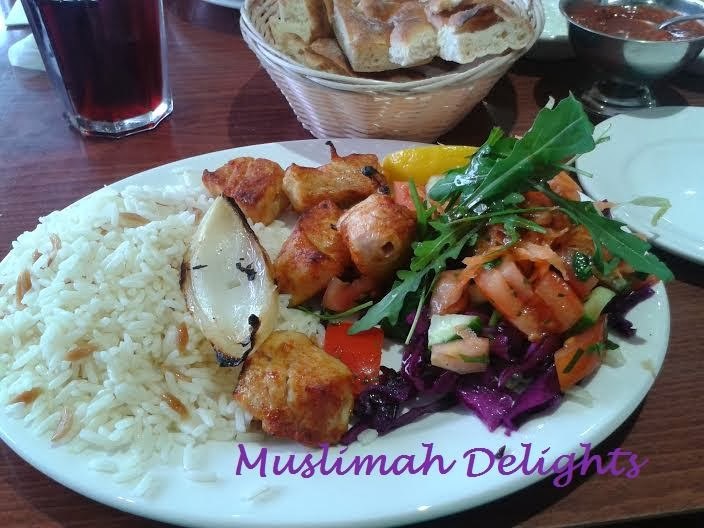 Last week, whilst shopping in Wood Green we came across Delight Kebab at the end of the main Wood Green shopping road, opposite Wood Green Station. They clearly have a halal certificate displayed on their window. 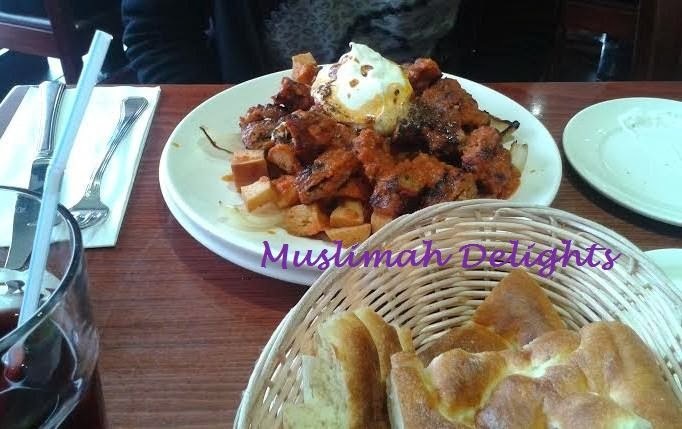 We originally wanted to try Gokyuzu & Kervan, also a Turkish place with good reviews, but there was no halal sign displayed like all the other Turkish eateries. We were quickly welcomed by the waitress and called her over to place our order. Complimentary hummus, cacik, chili sauce, a plate of fresh salad and bread was served – no need to order starters! The food was made fresh to order which meant a wait of 15 minutes. 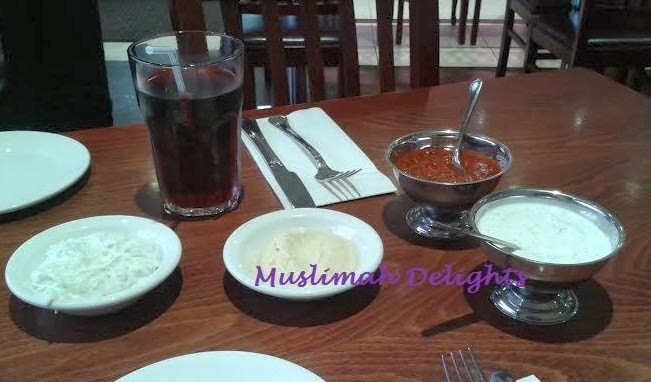 I ordered the Yogurtlu adana which is kofta served on Turkish bread with special tomato sauce and yogurt, as well as a sour cherry juice and my sister ordered the chicken shish with rice. The portions were huge, the juice came in a big glass too. 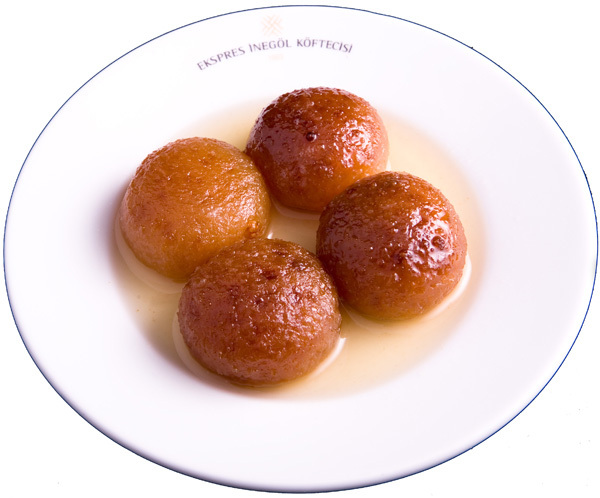 We were also given a complimentary Kemalpasa, which can be likened to the Asian ladoo. Yogurtlu adana - Adana kebab with sauce, grilled onions, yogurt and toasted pitta pieces drizzled with butter. I would definitely recommend this place, and will be going again. The service and prices were really good. 2 mains and a drink cost £16.90. Delightful! It all looks so yummy.